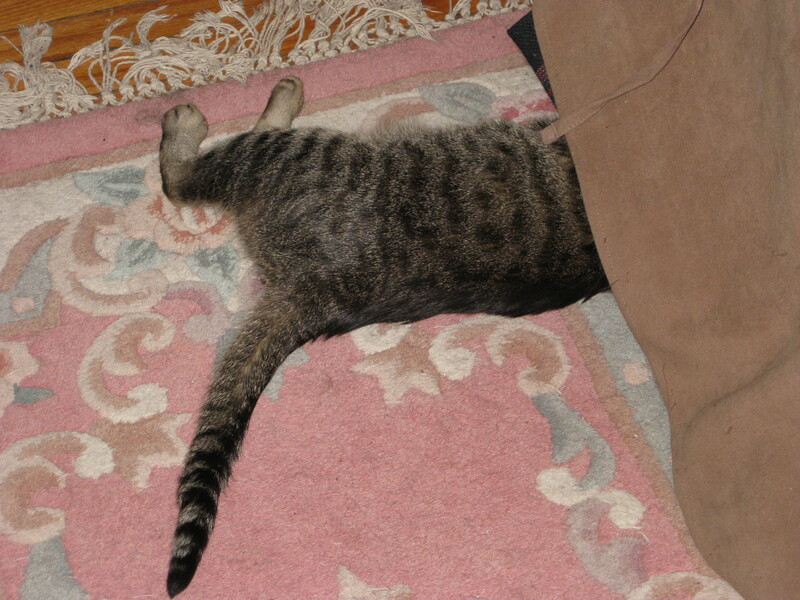 Sometimes it’s comforting to be half-under the couch. And it’s okay. I help sensitive people who are feeling stuck, vulnerable or overwhelmed take better care of themselves so they can put their amazing creative gifts out into the world. I help them become more of who they are (and let go of who they’re not!) so they can show up more authentically in their lives. I went through coach training with the amazingly authentic and incredibly funny Martha Beck. 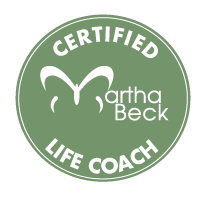 I am a Certified Martha Beck Coach, and I use many of Martha’s techniques as well as The Work of Byron Katie when I work with my clients. I have also trained as an Integrative Health Coach through Duke Integrative Medicine. I believe that our physical health is exquisitely connected to our emotional and spiritual health — our whole being. We cannot separate our physical health from the constellation of our whole lives, our whole selves. This is the premise upon which integrative health coaching is founded. So … does this sound like you?? *Do you call yourself a “perfectionist” or a “procrastinator” and feel that these “conditions” cause you a lot of pain? Talk to me. * Are you a writer, artist, or artisan who feels stuck on a creative project or in your creative process? Talk to me. *Are you introverted and/or highly sensitive, and you have a tough time just dealing with life on a daily basis, let alone creating what you want to create in the world? Talk to me. *Do you struggle with chronic fatigue or other physical issues that make self-care extra challenging? I get it, and I’m here to help. I believe that YOU are the best authority on you. 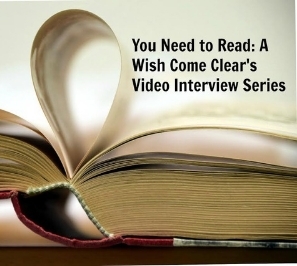 You already know, deep within you, what you need — you just may not be aware of it. As a coach, I ask good questions to help you connect with the part of you that is deep and wise, the part of you that can move you forward in the best possible way. We also work together to create plans of action that are based on the needs and desires of your essential self. My coaching is anchored in a place of compassion, gentleness, and encouragement. I do not practice “tough love” and I’m not a fan of the phrase “just do it.” I believe we need to be willing to allow our individual processes to unfold, and we need the right kind of support in order to let that happen. I also believe that when we learn to trust ourselves, our lives open up in ways we could not have possibly imagined when we were operating from fear. Find out more about the ways we can work together here. Stay connected and receive updates on my coaching offerings by subscribing to my Artist’s Nest Newsletter, here. You value “deep diving” — you want to know and understand yourself better and it’s of core importance to you. Even if it makes you uncomfortable (because it sometimes is, for sure! ), you have a willingness to know the truth about yourself and your life. Process is important to you — not just “results” or “outcome”. Your life experience has shown you that being open to your unique process sometimes changes what you think you want — and this is okay with you. You believe in things you can’t see or touch or “prove” — and these ideas are not too “woo” for you (in other words, they don’t make you uncomfortable or trigger aversion in you). You may have a healthy skeptic in you (this is a good thing! ), but you also embrace the mystery of life and honor your intuition. It makes you really uncomfortable to be “in process”. You want results now, baby! You really don’t want to know yourself better — you want strategies, systems and techniques that work fast to get you to a certain outcome. Talking about yourself and your feelings is tedious for you. You have a lot of unprocessed trauma or pain from childhood — I honor this deeply, and help with these issues is more the role of a psychotherapist than a life coach. I encourage you to reach out for support from a qualified therapist if you are struggling here. I offer a free 20-minute consultation to see if we’re a good fit. 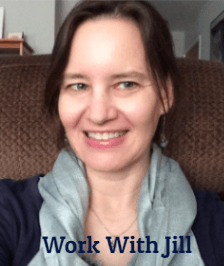 Contact me at jillwinskicoaching@gmail.com and we’ll set something up!